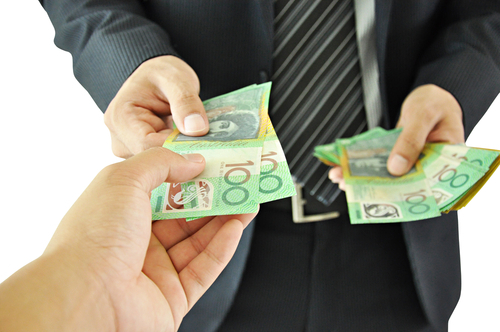 If you’re seeking an alternative to investing in the stock and bond markets, you may want to consider private money lending in the property market. By being careful and diligent, you can earn greater returns on your investment while minimising your risks as a private lender. You’ll also have many opportunities available to you and low levels of responsibility. As banks now have stricter requirements for loan applications from borrowers, private lenders are in high demand. When lending on private mortgages, your money is secured by a registered mortgage against the borrower’s property. The borrower will then pay you interest until the loan is repaid. If you offer a 70% loan-to-value ratio (LVR) and you’re forced to foreclose on a non-performing loan, you could already have 30% equity built up in the property. A specialised solicitor will prepare and register all your mortgage security documents to ensure that your mortgage is fully secured in order to eliminate foreseeable risks. Plus, the borrower will be the one to pay the solicitors’ fees. Having an attorney verify your paperwork (e.g. a Promissory Note and Lenders Agreement) or draft a contract will protect you completely. Reviewing the terms with the borrower will also help you to avoid legal complications that cost a lot of money. Furthermore, if you search for and use a good escrow company and title company, you can guarantee your money will be handled professionally and legally, meaning you know you’re going to get paid. You can choose to lend money for either residential or commercial property. If you prefer to lend money for residential property, you can specify whether you want a townhouse or a four bedroom house, a single family or a couple, or any other type of situation. You can also choose whether the property is non-owner occupied, owner-occupied or a short-sale property. You can choose how much money you want to loan, e.g. 60% or 80% LVR. You can also determine the type of return you’d like on your money within a certain time period, e.g. 6% return on investment (ROI) within 3 months or 8-20% ROI within a year. You can get a broker’s price opinion or a comparable appraisal by an appraiser so you don’t get sued and know that the investment you’re going into is actually worth what the borrower says it’s worth. You can ask the borrower to hand in a proven credit track record showing that they can make payments and repay the loan. To get the greatest returns, pick your criteria and stick to it. As part of your loan criteria, you can also choose how much interest you’ll charge the borrower (e.g. 6-15%) and if it accrues monthly. Or you can charge points (which is the percentage charged monthly and at closing), e.g. charging 2 points for a $100,000 property means you make $2000 a month and when the loan closes. Investing in private money loans gives you fixed yield returns and pays off at maturity. For example, if you loan $100,000 at 8% interest per annum and require only interest payments, then you’ll earn $8,000 a year. If the borrower doesn’t default, the loan will be paid off at or before it reaches maturity and you’ll get back the original principal amount. With private money lending, you can recover your capital in a shorter period of time, which means that you can better protect yourself against different types of risk. Most private loan terms range from 9-12 months. Your loan criteria can also specify how many months you want the loan term to last for, e.g. short-term (3-6 months) or long-term (6-12 months). You can work with other private lenders to diversify your money and lower your risk. For example, you can invest in a pool that gathers funds from other investors to create one entity for loaning money to borrowers. Or you can diversify your money by using multiple fractional loans with ten investors, e.g. each investor lends $100,000 for a $1 million loan. Loan decisions will be handled by the pool/fractional loan manager and your money is diversified across different types of loans. A junior lien is a second mortgage. You can earn a higher rate of return by investing in a first mortgage and then buying a second mortgage or other more junior liens. If you choose to go down this path, another benefit is that there’s less initial cash outlay. If you don’t have enough time but you have enough money, you can work with a private lending company with a good track record to manage your money. If they invest in real estate, they’ll know how to best manage your portfolio and could probably guarantee you a 6-8% ROI. Working with a private lending company will also allow you to free up some of your time. You can apply to become a private lender at Easy Settle Finance, where we help facilitate lending transactions between lenders and borrowers. You don’t have to take a course or fill in an application form. Just call us or register your details online and we’ll determine what lending options are best for you depending on how much money you have available. After you’ve registered, we’ll give you all the information you need to become a successful private lender. Clearly, there are many benefits to becoming a private lender. Investing in private money loans give you better returns and is a secure process. It’s also low risk if you do all the right things and approach it the right way. As an investor, it makes sense to become a private lender in today’s economy because private money lending offers a safer way for you to generate income compared to other forms of investment. Investing in private money loans is ideal if you’re looking for an easy and cost-effective way to increase your wealth.